If you have no prior knowledge of Angular, kindly follow the tutorial here. Come back and finish the tutorial when you’re done. We’ll be creating an application for a fictional ranch called “The Ranch”. 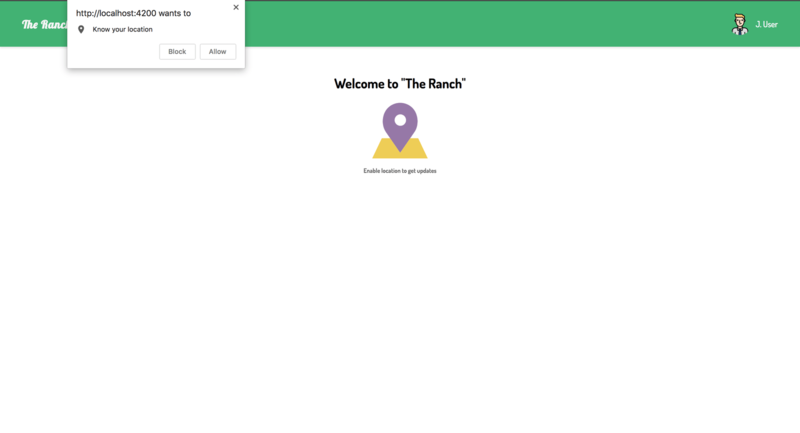 Our application will allow “The Ranch” employees track the location of each active guest in realtime. The application will alert employees when an active guest is exiting the boundaries of the ranch. To get started, we will use the CLI (command line interface) provided by the Angular team to initialize our project. First, install the CLI by running npm install -g @angular/cli. NPM is a package manager used for installing packages. It will be available on your PC if you have Node installed. This command is used to initialize a new Angular project with routing setup; the project will make use of SCSS for styling. Next run the following command in the root folder of the project to install dependencies. Start the Angular development server by running ng serve in a terminal in the root folder of your project. Let’s create a post route ping , the frontend of the application will send make a request to this route containing the current location of the user. This will be done whenever there’s a location change. Using object destructuring, we got the lat and lng from the body of the request. The data object contains the coordinates sent in. This object will be sent as the data for the triggered Pusher event. The same object will be sent as a response to the user. The trigger is achieved using the trigger method which takes the trigger identifier(location), an event name (ping), and a payload. Run ng generate component home to create the home component. This component will be the view users see when they visit. It will request permission to get the user’s current location. Open the home.component.html file and replace it with the content below. The view itself is static. There won’t be a lot happening in this particular view except the request to get the user’s current location. We referenced a header component in the markup. The component was created because the same header will be reused in the admin page. We’ll create the component shortly. Copy the following styles into the home.component.scss file. Here, we’ll define methods to get the user’s location and sending the location to the server. pingServer: this method makes use of the native HttpClient service to make requests to our server. It takes a location parameter and sends it as the body of the request. Let’s create the header component by running ng generate component header in a terminal in the root folder of the project. We’ll be using external fonts in our application. Include a link to the stylesheet in the index.html file. Update the styles.scss file to use the external fonts throughout the project. To make the pusher library available in our project, add the library as a third party script to be loaded by Angular CLI. All CLI config is stored in .angular-cli.json file. Modify the scripts property to include the link to pusher.min.js. After updating this file, you’ll need to restart the angular server so the CLI compiles the new script file added. To make the service available application wide, import it into the app.module.ts file. To monitor and track users using our application, we’ll need an admin page accessible to privileged employees. 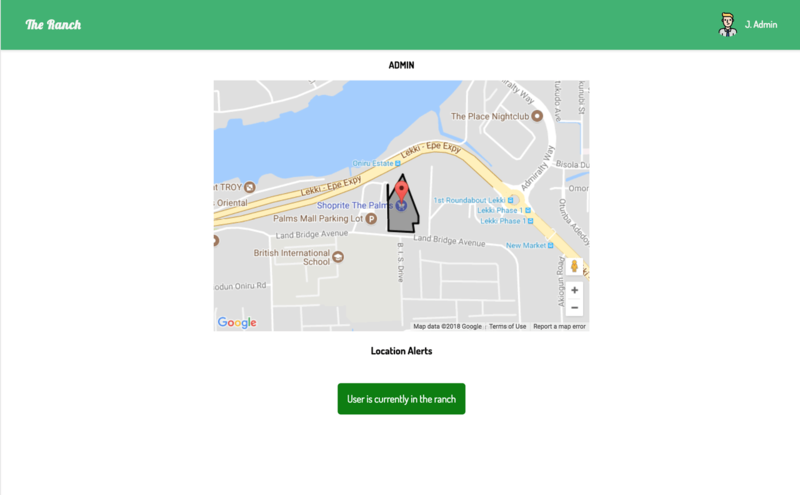 The page will use Google Maps to visualize the location of the user. Using Pusher, changes in the user’s location will be seen in realtime. We’ll be using angular-google-maps, which has a set of reusable Angular components for Google Maps. Install the package by running npm install @agm/core. To use the components in our project, we’ll need to include the angular-google-maps’ module in the app.module.ts file. MapsApiLoader: this is a service that provides a method to check if the Google maps script has been loaded. We wait for the Google maps script to load; in the promise returned, we create a polygon using the array of LatLng objects. We initialized Pusher and listened for the ping event. In the bind callback, we set the center property to the position sent through the event. Create a LatLng using the position returned from the event. Finally, we checked if the position is outside the polygon and then we display an alert if it is. Now that both pages have been created, let’s set up routes for each page. Open the app-routing.module.ts file and add routes to the routes array. At this point, your application should have realtime updates when there’s a location change. 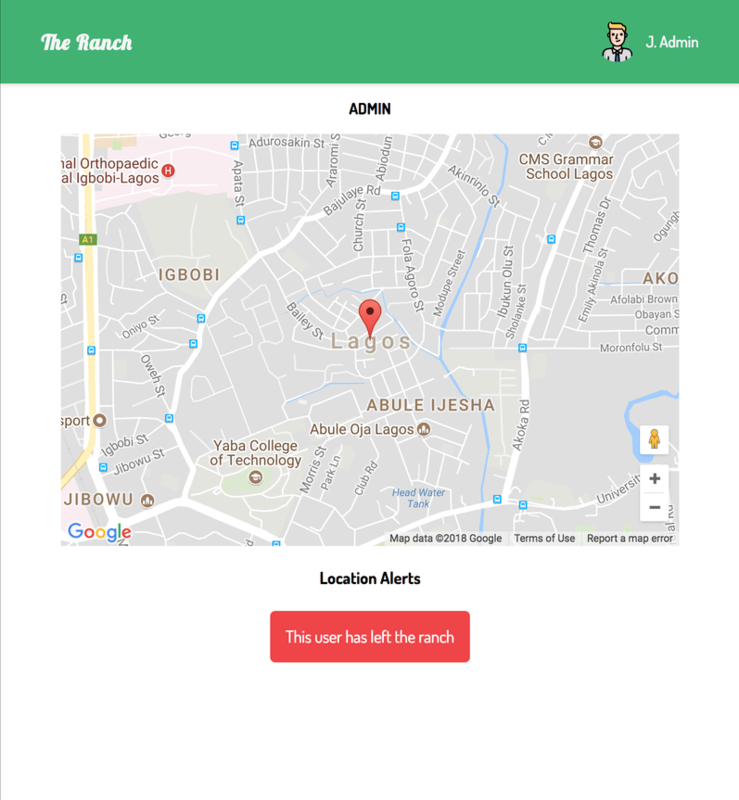 The admin user’s should we alerted if the user’s current location is outside “The Ranch” premises. Navigate to http://localhost:4000 to view the home page and http://localhost:4000/admin to view the admin page. To test the realtime functionality of the application, open two browsers side-by-side and engage the application. Location updates should be in realtime. Using Pusher, we’ve built out an application using the pub/sub pattern to receive realtime updates. 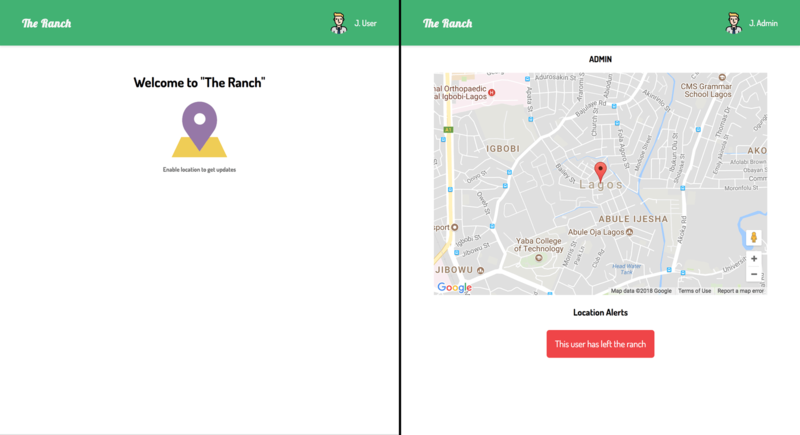 Using geofences, we’ll be able to tell when an active guest is leaving “The Ranch”. You can check out the repo containing the demo on GitHub.